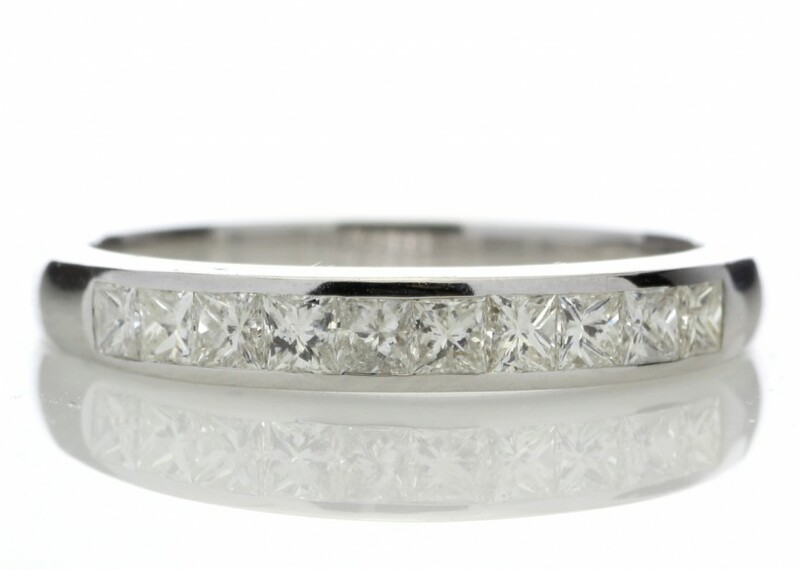 Ten beautiful princess cut diamonds are channel set in this delightful 9 carat white gold half eternity ring. 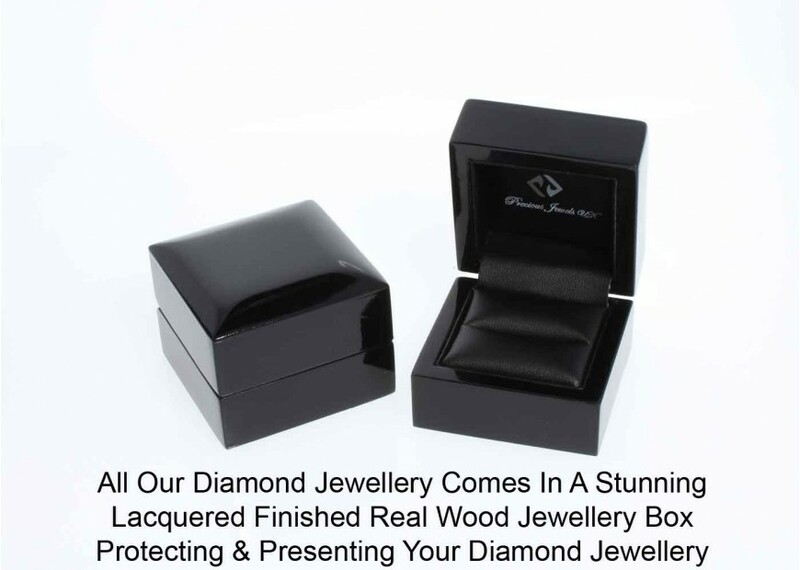 What better way to show your eternal love than with this stunning ring, it is guaranteed to delight. 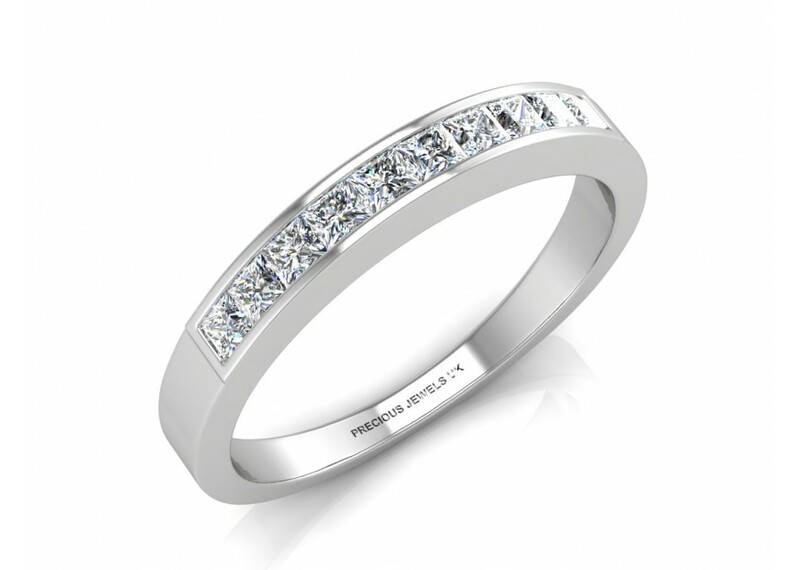 This enchanting ring is a fabulous accessory for every occasion, and also makes the perfect gift. 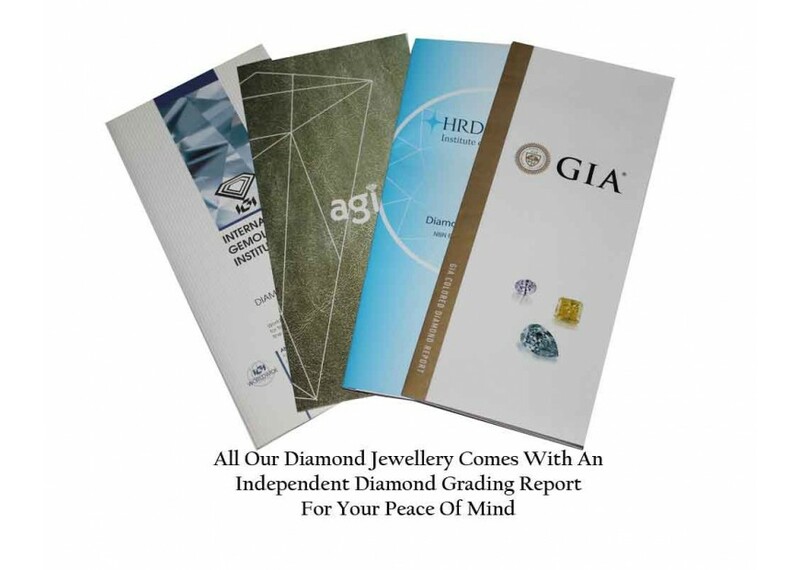 This ring comes with a free certificate by AGI and is graded as a G colour VS1 clarity. 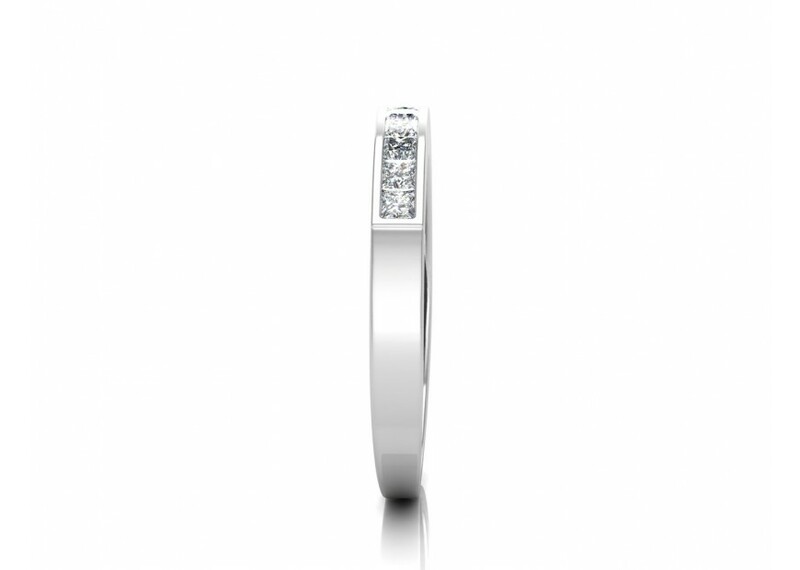 Diamonds have been believed to improve one’s energy, environment, growth process, prosperity, love life, faith and endurance. The stone also attracts abundance, strength, power, courage, fortitude, creativity, imagination, purity, harmony, faithfulness, innocence, increased feelings of self-respect and love, and relationships full of pure love. In fact, diamonds are believed to fill negative spaces in oneself with the purity of love. The stone will help you accomplish your dreams and destiny.